Sammy has expertise in corporate law and finance. 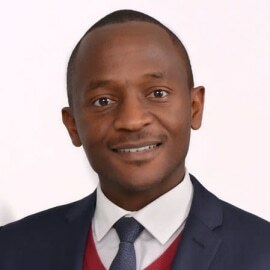 He is recommended as a top lawyer in Kenya by international legal directories such as Legal 500 and Chambers Global, and is ranked in the corporate/commercial and banking and finance categories. He is noted for his rigorous approach and detailed knowledge. Clients have said that, "Sammy gets everything, including the complexities”. Other commentators have said that he is “Very calm, switched-on and very knowledgeable.” He has also been recognized for leading Kenya's first solar securitisation deal, and has been described as "very helpful in coming up with solutions to new types of transaction.” (Chambers Global Guide, 2017). His counsel is sought by clients from diverse sectors and he advices on acquisition finance, senior debt lending, syndicated lending, structured finance, trade and commodity financing, debt and equity capital markets, corporate governance, cross border public and private mergers and acquisitions and corporate re-organisations. Sammy was previously a partner at Hamilton Harrison & Mathews, and has also worked on secondment at Allen & Overy and Shell in London. In 2015, he was among the Business Daily Kenya top 40 under 40 awardees, in a ranking that celebrates young game changers in society. - International Finance Corporation in connection with its multi-million dollar loan facilities to a leading local bank. - The Mauritius Commercial Bank Limited in connection with its multi-million dollar trade finance facilities to a local petroleum company. - Standard Chartered Bank on a multi-million dollar tower asset acquisition financing in Kenya. - A South African fund on its multi-million dollar structured commodities financing to a local company. - An international fund on its multi-million dollar subordinated debt facilities (Tier 2 capital) to a local bank. - A developer in relation to the senior and mezzanine debt financing of its 70MW geothermal power plant. - An international fund on the securitisation structure and investment in BBOXX, a manufacturer and distributor of solar systems. - Nairobi Securities Exchange on its demutualisation and self-listing on the NSE. - NSE listed Kenya Airways in its KES 20.68 billion rights issue (one of the largest ever in East Africa). - NSE listed Kenya Commercial Bank having subsidiaries in Uganda, Tanzania, Rwanda, Burundi and South Sudan in the re-organisation of its corporate structure resulting in a non-operating holding company domiciled in Kenya. - Johnson Controls on the Kenyan law aspects in its sale of certain stock and assets to CBRE. - CommScope on the Kenyan law aspects on its purchase of certain business and assets from Tyco. - Times Media in the acquisition of a significant shareholding in Radio Africa. - Elewana Collection in its acquisition of Cheli & Peacock group of companies.